Eloquent Speech and Language Therapy, LLC provides speech and language therapy in the home, daycare and after school settings in Tallahassee, FL. Research supports that providing speech and language therapy services in the natural learning environment, improves learning and participation in other activities, which further foster a child’s development. Your child will engage in play-based therapy and will be able to learn while having fun! All therapy strategies are openly taught to the caregiver, so that all skills can be carried over when the therapist is not present. Parent education is very important to us. We want you to play an active role in the progress of your child. Therapy sessions are offered for 30 minutes or 50 minutes in length, to best meet the needs of your child! Asia Hutchins has been a licensed (SA14300) and certified speech-language pathologist (SLP) since 2012. She earned a Master of Science Degree from Florida State University in 2012 and received her Bachelor of Science degree in Communication Science and Disorders from Florida State University in 2010. She completed her clinical externship at Coral Springs Medical Center (Broward Health Coral Springs) in Coral Springs, FL. She is a certified member of the American Speech–Language–Hearing Association (ASHA). ASHA is a professional association for speech–language pathologists, audiologists, and speech, language, and hearing scientists in the United States and internationally. Asia has a special interest in children ages 3-12 with autism, speech and language disorders. 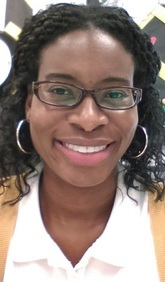 She is a Florida certified teacher in Speech Language Impaired (K-12) and has worked as a Speech-Language Pathologist in the public school system with children in Pre-Kindergarten through 5th grade. Asia has also worked in the hospital setting with infants/pediatrics to geriatrics.